I am currently writing God’s Word of Truth: Believing, Understanding, and Responding to the Bible. “Brother Boatman” A Man of Conviction Who Led by Serving details the life and ministry of Don Earl Boatman, long-time president of Ozark Bible College (now Ozark Christian College) in Joplin, Missouri. Ozark Christian College Bookstore, 1111 N. Main St., Joplin, MO 64801. The price of the book is $15.00. Shipping would be an additional charge. Commending & Defending Christian Faith: An Introduction to Christian Apologetics (College Press, 2010). Learn from defenders of the faith in the New Testament and church history. Where Is God When We Suffer? What the Bible Says About Suffering (College Press, 2007). ” Where is God?” may be an unbeliever’s taunt of believers or a justification for one unbelief or an anguished cry for understanding. The problem of evil and suffering presents a challenge to belief in good and sovereign God. “A long-time Bible professor, Gardener shares out of his own experience, then does a good joy of surveying biblical insights about suffering. This will be a useful tool as we preach and teach on this subject.” PreachingNOW, Feb. 5, 2008. “Brother Wilson” The Life and Work of Seth Wilson (College Press, 2007). Seth Wilson, founding dean, shaped Ozark Bible College, now Ozark Christian College, more than any other person in the more than fifty years he served with the college. The reader will learn his ideas and principles on teaching and leadership. Catch glimpses of his childhood, his conversion, and his student days, the early days of the college in Arkansas, and its move to Joplin. Observe his leadership in the college’s history. See him as a teacher and learn his ideas about the mission, curriculum, faculty, and spirit of the Bible college. Read his quotable sayings and tributes from co-workers and students. “I am honored to be his ‘twice-born brother,’ and commend this biography of his life to you for your edification and inspiration.” John Wilson, retired minister and Seth Wilson’s older brother. Commentaries are listed on each book of the New Testament with a brief annotation. Under each New Testament book commentaries are listed under the headings: Basic, Intermediate, and Advanced. There is no “best” commentary on a given book because no one book can serve the specific needs of every individual. Hopefully, this list will help the reader identify a commentary or commentaries that best fits his or her needs. Christianity Stands True: A Common Sense Look at the Evidence (College Press, 1994). The book has appeared in four printings and has been translated into six other languages. “In presenting this material Lynn Gardner does a remarkable job of explaining even complex problems with clarity, humor and apt illustrations that add up to a fascinating and convincing case for the truth in Christianity. Pastors, Sunday school teachers and lay persons who are concerned to meet the intellectual challenge of unbelievers will find this book invaluable. We need to be ready to give a reason for the hope within us to all those who deep down inside themselves know they need and, in fact, deeply long for the very message we Christians want to give them.” From the Foreword, Kenneth Kantzer, Trinity Christian University. Ozark Christian College: A Vision of teaching the Word of Christ in the Spirit of Christ (Ozark Christian College, 1992). Ozark Christian College in Joplin, MO, has continued its mission of training men and women for Christian service since its beginning as Ozark Bible College in 1942 in Bentonville, Arkansas. This book traces the history of the college in its first fifty years. “in this major work, search for information has been incredibly diligent and thorough. Dr. Gardner has respected all the witnesses and sources of information, and has been entirely fair to let them make the record as clear as possible. Consider well the principles, ideals and goals which the story emphasizes and illustrates.” Seth Wilson, Academic Dean, 1942-1979, Academic Dean Emeritus, 1979-2006. Twenty-Six Lessons on Luke, Part I (Luke 1-12) (College Press, 1990). Learning from God’s Word, co-written with Seth Wilson (College Press, 1989). The Mind of Christ: A Tribute to Seth Wilson: Spiritual Leadership for New Testament Christianity (College Press, 1987). Essays offered in appreciation to Seth Wilson including seven essays from the pen of Seth Wilson. Learning from Jesus by Seth Wilson (College Press, 1977). Ninety-three essays relating to the Gospels taken from Seth Wilson’s voluminous writings. 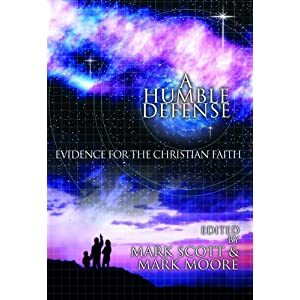 A Humble Defense: Evidence for the Christian Faith: A Special Tribute Honoring Dr. Lynn Gardner, edited by Mark Scott and Mark Moore (College Press, 2004). Essays on topics relating to the defense of the Christian faith by former student, colleagues, and others associated with Lynn Gardner.